The School of Engineering in Geodesy, Cartography and Surveying (Universitat Politècnica de València, Spain) will host, one more year, the International gvSIG Conference, that will be early respecting the usual date. 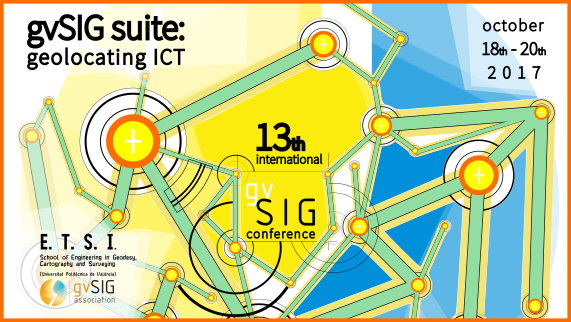 The 13th Conference will be held from October 18th to 20th under the slogan “gvSIG Suite: Geolocating ICT“. This entry was posted in community, english, events, gvSIG Suite, training and tagged 13th gvSIG Conference. Bookmark the permalink.